Federal health officials ended a major heart disease study more than a year early, after findings showed that current guidelines may set blood pressure targets far too high, The New York Times reports. 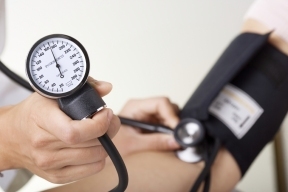 In the United States, doctors advise people older than 60 who have hypertension, a.k.a. 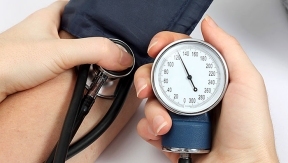 high blood pressure, to take drugs to lower their systolic blood pressure (SBP)—the higher of the two numbers in a blood pressure reading—to about 140 or 150. But after a study from the National Heart, Lung and Blood Institute showed patients saw a reduced risk of heart attack and stroke by nearly a third and their risk of death slashed by a fourth when their SBP dipped to 120, experts suggested doctors lower federal guidelines for that top number. For the study, researchers randomly assigned more than 9,300 men and women, age 50 and older, one of two SBP targets, below 120 or below 140. The trial was supposed to conclude in 2017, but researchers said the preliminary results were so astounding they decided to stop the trial early for ethical reasons. “This study provides potentially lifesaving information,” said Gary H. Gibbons, MD, the director of the institute. Still, some are concerned about the possible side effects of lowering blood pressure in older people because very low blood pressure is known to cause dizziness and falls in the elderly.